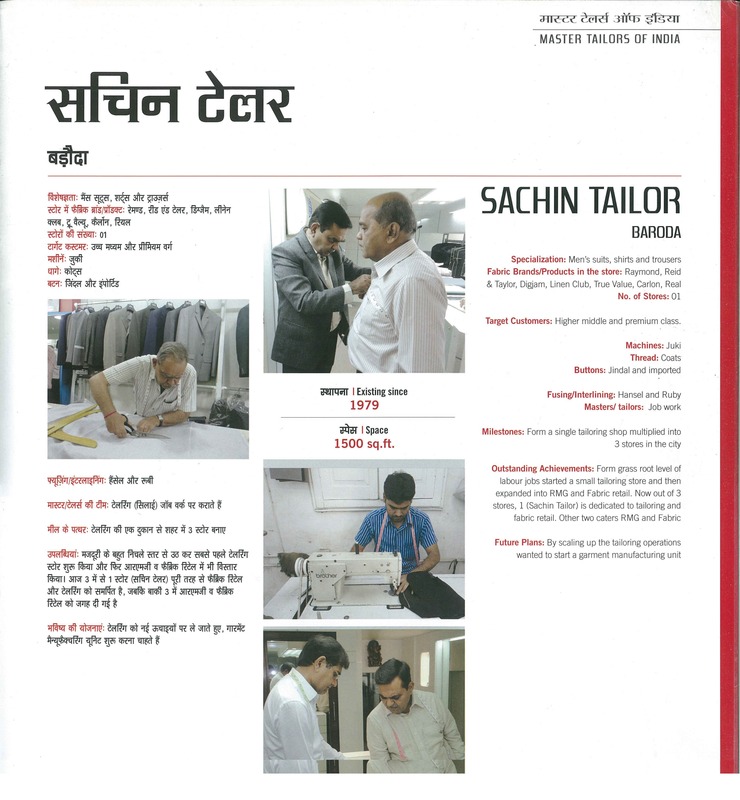 Sachin's Men's World is recognized as the renowned Bespoke tailor in India. We are committed to making the best handmade suits, shirts, sherwanis and trousers for men around India. 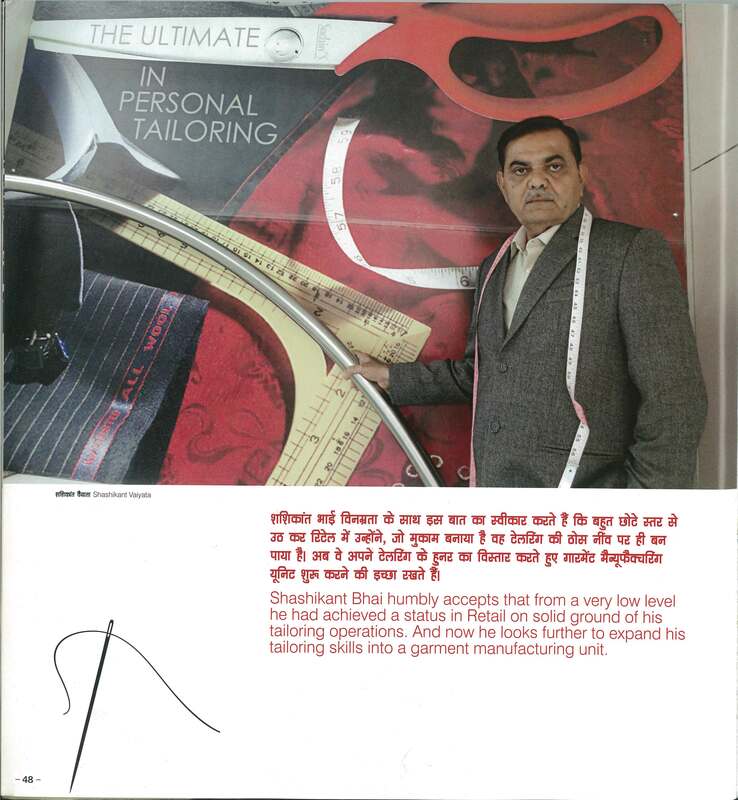 We were selected to be one of the best in stitching and fabric in India and was articled in the magazine - "Master Tailors Of India". Our specialty relies on creating customized stylish garments that not only adhere to the modern trends in men's fashion, but also to their unique lifestyle. At Sachin's Men's World, we tailor clothing not just to wear but also to make the perfect style statement. Our team of skilled and expert tailors guarantees the premium stitching of the highest quality. We ensure you look you absolute best at that special event. We pride ourselves for going beyond simply making suits and sherwanis - we create garments that inspire confidence and success. We ensure you that we offer you the collection that you would surely like to invest! Thus, don't hesitate to place an order with us and we will make sure to design the clothing that exclusively suits your desires!